Happy Halloween, for those who celebrate it.. And of course tomorrow being Día de los Muertos. More so for I don’t forget…! After much fighting, I got my jdosbox directory back! yay so now all the online demos of stuff work again! For those of you who have no idea what I’m talking about, feel free to check it out! And all kinds of other stuff! Author neozeedPosted on October 28, 2012 October 28, 2012 Categories DOSBoxLeave a comment on After much fighting, I got my jdosbox directory back! And even a quick shout out! A long time passed! I found someone is also interested in the old things. Neozeed built some Linux 0.00, 0.1x images running on Qemu emulator . I also put them HERE for people to find them easily. Thanks Neozeed. And during this period of time, I also find some valuable old things. The first is the source code of lib-0.12 for kernel 0.12. The other is the full ancient Linux system using kernel 0.98 patchlevel 1 released early by SLS, the 0.98pl1 system . For anyone who doesn’t know, oldlinux.org is a historical repository for the early start of the now wide spread Linux operating system. In a somewhat ironic sense of being available on the internet much of the early stuff is lost, however thanks to the work of these fine folks, and some less than scrupulous shovelware dealers, and hoarders much of it has been pieced back together. I suppose much of it is really of no practical use today, although at the same time the pre 2.0 linux stuff was incredibly small.. And capable of running in ultra minimal configurations. First off the IBM versions of OS/2 1.1 use the 286 triple fault method of switching from protected mode to real mode exclusively while the Microsoft kernel includes 386 detection & mode switch instructions. The the VirtualBox timing patches won’t work with the IBM kernel & drivers while the Microsoft kernel & drivers boot up and work fine on the IBM diskettes. And as you can see another weird thing is that Microsoft keeps all the string resources in os2ldr, while IBM has them in os2krnl.. Which can be seen here as CMINST for Communications Manager, DSINST for the Database Server, QMINST for the Query Manger, and finally REQINST for the Network (NetBEUI) Requester Service. The file server capabilities were sold as an addon, known as Lan Manager. 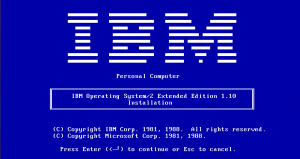 IBM OS/2 1.1 does include a tutor program on how to use the OS, and some general help for Presentation Manger. I believe it wasn’t until 1.2 did Microsoft include one. As you can see it is kind of sparse but it does show the old school OS/2 logo. In addition each of the EE components includes a tutorial, although they are all text mode.. The sad thing is that the EE components are all full screen text mode. There is no Presentation Manager integration at all here. And I think this underlines a critical fault in OS/2 where there is separate text modes, both full screen & windowed that are incompatible with each other. Much like the first Lotus 1-2-3 for OS/2 ran in a full screen text window, you are blocked from seeing anything else at the same time, defeating the whole point of being able to multitask. Communications Manager was the one thing that I did use, although it was honestly very disappointing Its big thing at the time was communicating to Midrange (AS/400) and Mainframe (370/390) machines via SNA or X.25 . 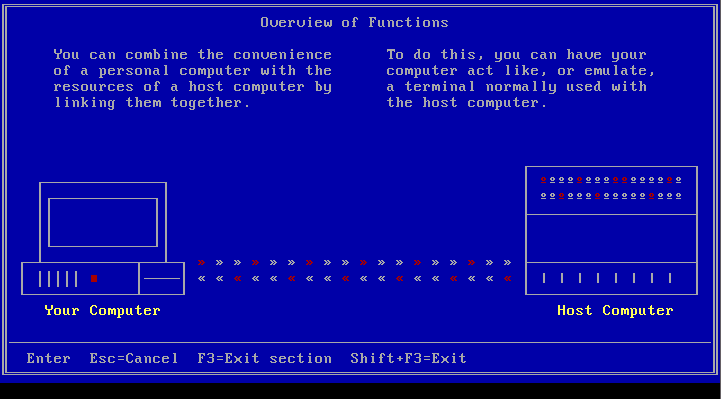 Also included is a basic ASCII dumb terminal emulation program that can do VT100 with Xmodem. The real limiting factor is that it is limited to 9600 baud. And this also brings out another long term deficiency in OS/2, the serial support was always underwhelming, and the majority of people eventually had to use the SIO drivers to get any decent performance. The Database Manager is a simple enough SQL server, client. It is capable of doing simple reports, and even ‘panels’ much like Oracle forms of late. It seems robust enough on small sample tables, although I couldn’t imagine it handling anything of any major size by modern standards. I would imagine it would be for DB2 type users trying to steer them away from DBase, Paradox or Oracle. Although to be honest I’ve never seen it live in the wild but I’m sure someone did out there. Also I can’t imagine running a SQL server on a 6Mhz 286. 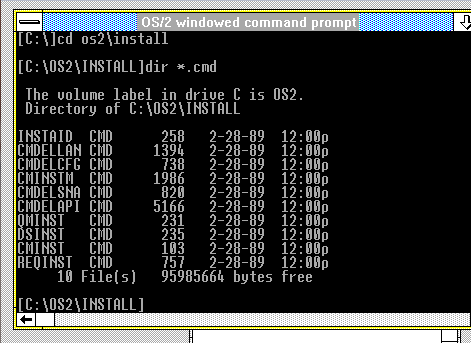 One interesting thing included in OS/2 1.1 EE is Borland’s Sidekick for OS/2. 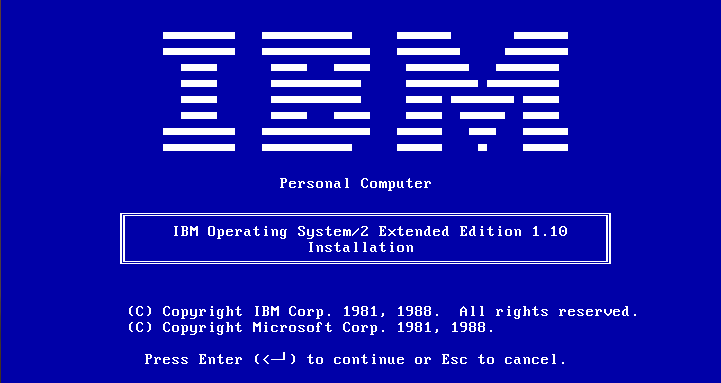 While it didn’t make the cut in later releases it was a nice touch for 1.1 as otherwise it is pretty baren, as IBM & Microsoft seemed to feel that OS/2 should ship as barren as possible. Of all the applications though the PM notepad was the nicest.. 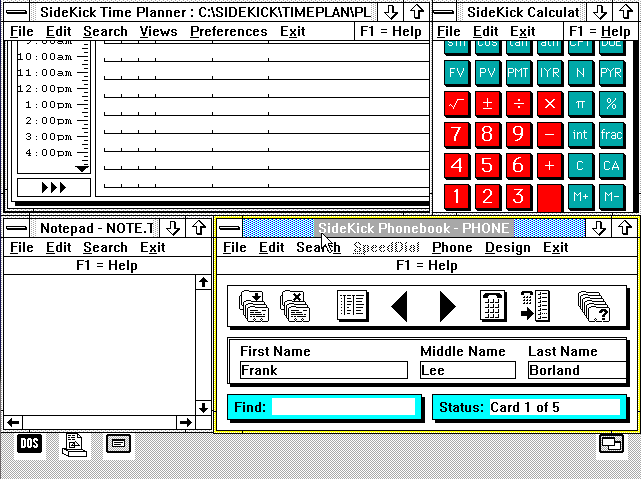 Although I’m sure if it were 1988 I’d get more use out of the rest of sidekick. 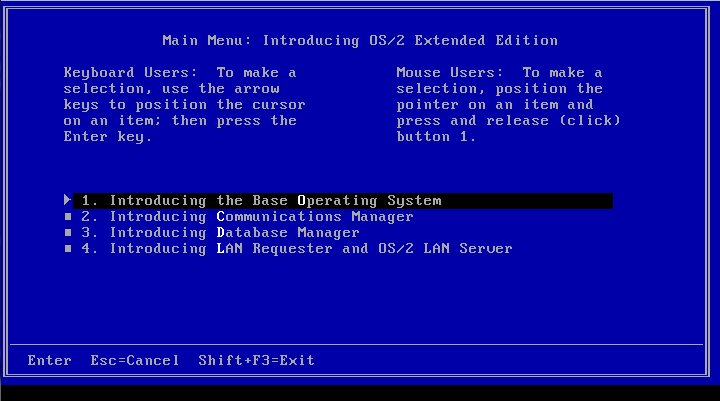 For the heck of it, I’ve taken a VM of OS/2 1.1 and upgraded it to 2.0 and happily all the EE components work as well as they did on 1.1 . Considering how picky the Warp upgrade was, it is kind of surprising. Just before the tidal wave comes in on the Windows 8 launch, let me just spell out one thing… Windows 8 RT will *NOT* run any existing Windows applications. I don’t know why we even have to go back down this road, but it’ll be Windows NT on the MIPS or PowerPC all over again. And to be too honest, the price is just too damned high for what it is, and that is an evolutionary dead end. 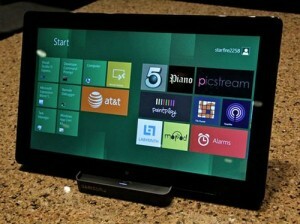 Expect there to be some kind of post Christmas fire sale, once people find out they can’t play minecraft or sims on it. But apparently it comes with Microsoft Office (Word & Excel?) no idea if it includes PowerPoint & Outlook.. I guess the one safe thing is that it won’t run x86 exploits/buffer overflows, so maybe this is a good PHB, ‘mom’ device. Me? I’m still using a 1st gen iPad. SMP support for Xen domU kernels, initial suspend/resume support for Xen domU, PCI pass-through support for Xen3, and addition of the balloon driver. Major rework of MIPS port adding support for SMP and 64-bit (O32, N32, N64 ABIs are supported) processors, DSP v2 ASE extension, various NetLogic/RMI processor models, Loongson family processors, and new SoC boards. Improved SMP on PowerPC port and added support for Book E Freescale MPC85xx (e500 core) processors. ARM has gained support for Cortex-A8 processors, various new SoCs, and initial support for Raspberry Pi. Full support for Raspberry Pi and major ARM improvements to come in a future NetBSD release. time_t is now a 64-bit quantity on all NetBSD ports. This means that the NetBSD world no longer ends in 2037. Author neozeedPosted on October 17, 2012 Categories 2038, netbsd1 Comment on NetBSD 6.0 released! So I had to move providers again. I don’t know what on earth is going on with all these VPS providers getting DDOS’d as of late.. So here I am on VPS #4. I lost my last post so I’ll have to recreate it later on. Right now I’m just trying to get my old vpsland archive back online. Sadly my DSL is rate limited to a whopping 64KB/sec so this will take … a long long while. Thankfully I had a recent-ish backup of my blog, so all is well there! Author neozeedPosted on October 10, 2012 Categories random updates8 Comments on So I had to move providers again. Just to let people know I’m still alive! In the meantime I was working up something about the evolution of Windows 3.0, to 3.0a and the multimedia version, along with what features I’ve been able to discern about the OS/2 2.0 beta.. Like did you know that MS was going to put TrueType fonts in it? I guess that is why IBM went with Adobe..
And of course there was no plans for SOM, or the Object desktop in OS/2 2.0 it was going to look/feel more like OS/2 1.21 or Windows 3.0 than what eventually shipped as OS/2 2.0 . I don’t know what it is interesting about that time period… And I scored a real copy of OS/2 2.0 for $5, I was going to do more of a teardown of that, once I get some kind of scanner… Or maybe try to flip it on ebay in some kind of workable manner vs being old dead stuff in a box? Author neozeedPosted on October 1, 2012 Categories random updates5 Comments on Just to let people know I’m still alive!